Wait, I feel like I’ve read this book before. Does this ever happen to you? You’re merrily reading a new book carefully plucked from the shelf, partially, you admit, because of the cover, and you’re just getting to “the good part” when you’re suddenly overwhelmed with déjà-vu. It’s important to note that these are emotional arcs and don’t necessarily correlate to plot lines. Often, plots are complicated and nested, especially within a series of books such as Harry Potter. However, the emotional sub-narratives of these more intricate stories do tend to boil down to one of the six arcs. This study was conducted with 1,737 shorter English fiction books, with word counts between 10,000 and 200,000. The books chosen also had more than 150 downloads from the Project Gutenberg site and in addition to the broad filters applied such as the unique word count, the dictionaries and transcriptions by the Human Genome Project were removed. 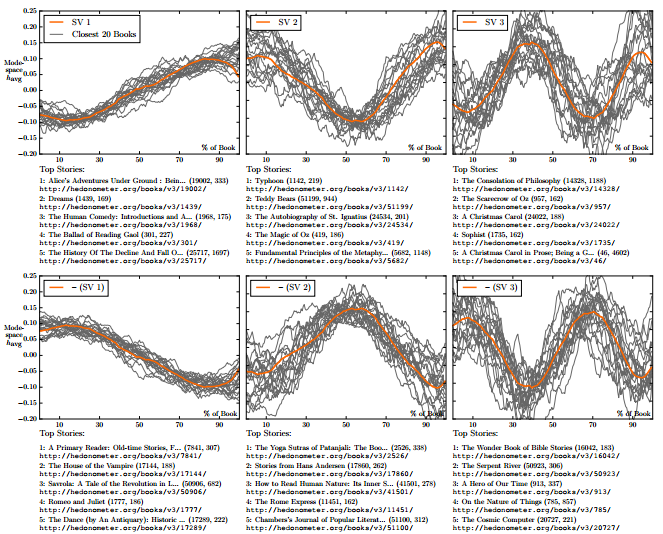 Then, without getting too technical, 10,000 word windows were analyzed at a time for “happiness” to create a map of the emotional arcs throughout each book. The researchers used a standard linear algebra technique, Singular Value Decomposition, to tease out the six distinct arc shapes shown below. Our ability to communicate relies in part upon a shared emotional experience, with stories often following distinct emotional trajectories, forming patterns that are meaningful to us. The success of the stories underlying these emotional arcs shows that the emotional experience of readers strongly affects how stories are shared. By examining the download data of the books, researchers discovered that while the first four types constituted the majority of the books, they were not the most popular. Instead, the most successful arcs seem to be Icarus and Oedipus, two sequential “Man in a Hole” arcs (ending with a rise), and a Cinderella with a tragic ending. 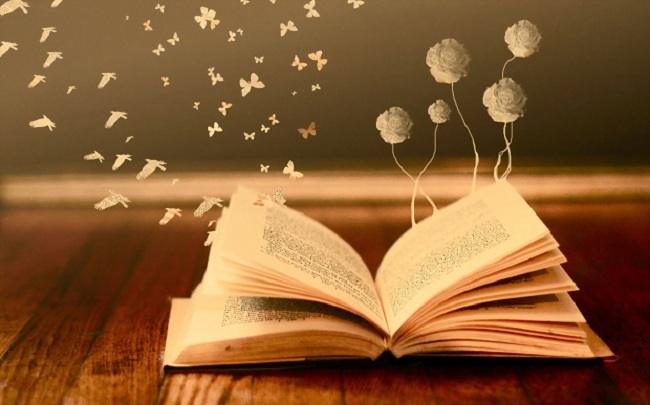 It seems readers are drawn more to the stories with unhappy endings. Perhaps this is because the tragedies tend to weigh on us longer than if a story ends happily. The conclusion of the study suggests that by using their approach, emotional novels could be reverse-engineered, so to speak. Start with the arc and produce a compelling tale. This is not such a far-fetched idea considering artificial intelligence projects have produced original “poetry” among other things in an attempt to sound more human. Who knows what the future will hold. Despite the overused patterns, we read on. Books are slices of life, fictional or not, and we continue to read because we identify with the ups and downs. So what if you have a little déjà-vu every once in a while? Life is déjà-vu. What keeps us reading are the details. We know the story doesn’t truly end with the last page.